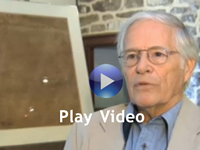 Tom Lingenfelter, a dealer in rare historical documents and artifacts in Doylestown, Pennsylvania, has discovered the truest copy of the 1776 engrossed (handwritten) Declaration of Independence. A rarity in its own right, this anastatic facsimile also sheds some light on how the Declaration obtained its current status as a faded remnant of its original glory. 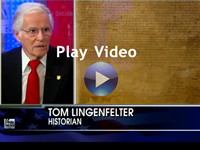 To truly understand the evolution of the Declaration of Independence, how we view it today and the significance of Lingenfelter’s find, a review of the several methods used to spread the awareness of the document and its ground-breaking effects on the rights of man is in order. On June 11th, Congress nominated a drafting committee of five under the direction of Thomas Jefferson, who drafted the Declaration along with John Adams (Massachusetts), Benjamin Franklin (Pennsylvania), Roger Sherman (Connecticut) and Robert Livingston (New York). Over the course of three weeks, America’s elegant founding document was drafted among these five men. It was submitted to Congress for consideration on June 28th. On July 2nd there was a call for a vote. Twelve states voted “yes” with New York abstaining. On July 4th, after two days of vigorous debate and revision, Congress adopted the text of Declaration of Independence as we know it today. There is some question as to when all the final signatures were attached to this official engrossed copy. According to history books, many of them signed on August 2nd, but some hesitated before affixing their signatures at a later date. Their reluctance is understandable, considering that the document represented an act of treason, and in turn its signers would be branded as traitors to the Crown. 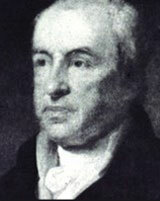 It is known that Thomas McKean of Pennsylvania was the last to affix his signature to the engrossed Declaration. An early official printing, ordered from Baltimore printer Mary Goddard in January, 1777, did not include McKeans name. McKean’s signature, possibly added as late as 1781, brought the final number of signers on the engrossed Declaration to 56. 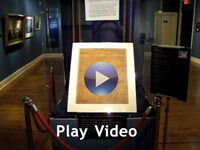 Currently housed and displayed at the National Archives in Washington DC, the original engrossed Declaration is the most revered document in America, but its condition is quite diminished from its original glory. There is very little documentation of its condition over the years or how it came to be so diminished. An audit performed by The National Academy of Sciences in 1891 asserted that the poor condition of the Declaration was attributed to attempts of a wet copy technique. Once the Declaration’s text was revised into its final form on July 4, 1776, the Continental Congress commissioned its official printer, John Dunlap, to typeset and print copies. Dunlap, working from a corrected manuscript and supervised by the drafting committee, produced approximately 200 broadsides for distribution to the thirteen states and elsewhere. One of these Dunlap copies was reportedly delivered to George Washington at Valley Forge to be read aloud to the troops. Another, currently housed at Independence National Historic Park in Philadelphia, was donated to the park by the heirs of Colonel John Nixon, the man appointed by the sheriff of Philadelphia to read the Declaration aloud in the State House yard on July 8, 1776. Only 25 Dunlap Copies are known to still exist. The last Dunlap copy sold at auction was offered by Sotheby's on eBay on June 29, 2000 and brought $8.14 million from collector Norman Lear, who partnered with Silicon Valley investor David Hayden. This copy made a tour of the country to allow Americans to view it. In 1820, in response to a wave of patriotism following the War of 1812 and in advance of the nation”s 50th birthday, John Quincy Adams commissioned Washington DC engraver William Stone to produce a facsimile of the original engrossed Declaration’s text and the 56 signatures of the members of the Continental Congress. Stone required three years to complete his task and the results were a remarkably accurate engraved copper plate. History does not record his exact technique or methodology, but various rumors over the years included the employment of a tracing device, tracing and even a suspicion that Stone’s skills included those of a master forger. A simpler answer, however, is much more likely. It is now widely accepted that Stone utilized carefully placed mirrors and his exemplary engraving skills in a painstakingly tedious process to create his printing plate. With the discovery of the Anastatic Declaration it is proven Stone was a master engraver as they are nearly identical. 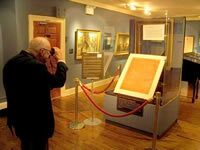 Stone completed the engraving of the copper plate in 1823 and sold it to the State Department. A congressional resolution passed on May 26, 1824 with an order placed for 200 copies, on vellum. These copies were to be distributed to official repositories, significant office holders and the surviving signers of the Declaration, including Thomas Jefferson, John Adams and Charles Carroll. Two copies were given to the Marquis d’Lafayette when he visited America in 1824. 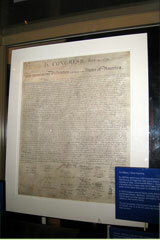 At 24 x 30 inches, the Stone facsimile is very close to the original engrossed Declaration in size. At the top is a line that reads “Engraved by W.I. STONE for the Department of State by order of J.Q. Adams Secy of State July 4, 1823.” After the 1823 printing this imprint line was burnished off of the copperplate and a new imprint was added to the bottom left, below the first column of signatures. "W. J. STONE WASHN." Later printings from the Stone copperplate are the same size but printed on paper, not parchment or vellum, and have the imprint bottom left. Even with this alteration, collectors still prize later Stone copies on vellum. Stone's copperplate is currently in the National Archives in Washington DC. Finally we come to the fascinating story of the Anastatic Declaration discovered by Tom Lingenfelter. Lingenfelter found his copy of the Declaration in a lot sale where it was originally alleged to be a memorabilia copy created for the Centennial. The document was covered in varnish. When he saw the words “ANASTATIC FAC-SIMILE” at the bottom left of his broadside he decided to Google the word anastatic. "That’s when the name Edward Law of Ireland came to my attention and I began an e-mail correspondence with a collector of anastatic prints and books and subsequently became familiar with this long forgotten method of printing," said Lingenfelter. It is the latter portion of this statement that makes the Anastatic Declaration even more important and certainly much more rare than Dunlap or Stone copies. Lingenfelter believes the anastatic process radically accelerated the deterioration of the original engrossed Declaration now at the National Archives in Washington DC. The Anastatic Declaration, then, is not just significant as a more rare, direct and exacting facsimile of the original engrossed Declaration than the Dunlap and Stone copies. Its significance is enhanced by an order of magnitude because the anastatic process itself had a detrimental effect on the original that led to its current faded condition. The process was discovered by Carl Friedrich Baldamus of Erfurt, Germany in about 1840 and developed in conjunction with Werner Siemens. Edward Law reports that Baldamus and Siemens sought a patent on the process from Berlin that was granted on October 25, 1845 by the United States Patent Office. John Jay Smith, Librarian of the Library Company of Philadelphia from 1829-51 brought the anastatic process from England to America. Smith visited Europe in 1845 and the following year published a two-volume recollection of his tour of England, Ireland, Scotland and Continental Europe, A summer’s jaunt across the water. Much of Law’s information about the anastatic process comes directly from A summer’s jaunt. Soon after Smith’s arrival in London a friend called his attention to the investigation of the new art of anastatic printing. Michael Faraday conducted a major public demonstration of the process at the Royal Institution. On August 2, 1845, three weeks before he sailed back to America, Smith signed an agreement with Charles William Siemens, acting for himself under power of attorney for his brother Werner and Baldamus for the promotion of the process in America. 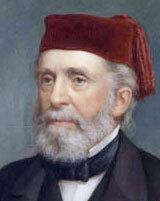 Smith brought with him to Philadelphia the necessary apparatus and information to pursue the business sufficiently to offer patents for sale in the different states. “Being requested to control the patent for America, my son as well as myself passed as much time as we could spare in acquiring the knowledge of the manipulations necessary to teach the art,” Smith later wrote. Smith was prepared to grant licenses and had a “small anastatic press is at work taking transfers and executing orders for copies of printed and manuscript matter.” He included a specimen page of printed matter with woodcuts in his Weekly Volume. Robert P Smith agent for the Patentees of the new process of Anastatic Printing has presses at the Sunday School Union Building, No 144 Chestnut St third story where he is prepared to execute orders with which he may be favored. To Architects, Artists, Draughtsmen and Conveyances the art recommends itself by the perfection, facility and cheapness with which designs and drawings of buildings, plans, maps, sketches and writing are copied and multiplied from a single original on common paper when drawn in ink supplied at the office. Persons interested are invited to call at the Anastatic Printing Office and inspect specimens of transfers of sketches and writing, type, plans and pictures. Research at the Library Company reveals several examples of anastatic printing, as Mr. Smith and his son desired to make the business venture successful by vigorous promotion of the process. It is this desire to promote the process that is thought to be responsible for the attempts to accurately image the Declaration of Independence, which by this point in time was becoming ever more popular in the eyes of the public. Another popular item that also drew the interests of the Smiths was the 1681 Holmes Map of Pennsylvania. This was the first map of the Province of Pennsylvania and reflects the visual manifestation of William Penn’s Deed. Smith published the Holmes Map using the anastatic process and the document still resides in The Library Company’s Collection. Issued in four parts of 25 plates at $2.00 per part, the contents were selected by the architect Thomas U. Walter (noted for his Greek Revival building for Girard College and extensions to the Capitol in Washington) and John Jay Smith. The publisher was Lloyd P. Smith or Carey & Hart, both of Philadelphia. Some of the surviving plates have the imprint ANASTATIC OFFICE 144 CHESTNUT STREET, PHILA. Society benefited from this new printing process, as it made documents more readily distributed and the cost of owning a piece of history was reduced to allow for more widespread access. This is witnessed by the fact that Anastatic prints of the Holmes map are not very rare.This is further evidence of the value of introducing new techniques for distributing near perfect copies of historic documents that exist today due to dispersion through the masses rather than one unique archival effort. The role John Jay Smith played in making documents available by disseminating mass-market copies has assured the survival of many documents that might otherwise have been lost. The discovery that this early American attempt at imaging using a process developed in Europe and brought to this country by John Jay Smith as a commercial venture is an exciting development in the history of the Declaration of Independence. Although it is not known if the creation of the Anastatic Declaration preceded or followed the imaging and printing of the Holmes Map of Pennsylvania, it represents a mile marker in records keeping and records management. After corresponding with Edward Law, Tom Lingenfelter took his Anastatic Declaration to Independence National Historical Park in Philadelphia to compare it to another copy in the park’s collection. The visit provided new insight into the genesis of the park’s copy, as it also included the “ANASTATIC FAC-SIMILE” mark. Lingenfelter explains: “Until I showed the curators at Independence National Historical Park my copy and told them what I had learned about anastatic printing, they assumed the copy in their collection was merely a Centennial souvenir from 1876.” The park put that copy through a conservation process in the 1980’s and it has remained in archival storage since that time. Proof of the use of the Declaration of Independence as an original used for the anastatic process is offered by Edward Law, as he has discovered a reference in the December 9, 1846 Alexander’s Pictorial Messenger announcing the availability of anastatic copies of the Declaration of Independence and the Non Importation Act of 1765 from the Anastatic printing office on Chestnut Street. The absence of a printer’s name on the Anastatic Declaration suggests that someone directly connected to the patent agent produced it. An October 27, 1846 report on a Franklin Institute Exhibition in The North American names John Jay Smith’s son, Lloyd P. Smith as the printer of the Anastatic Declaration. ˝The facsimile of the non-importation agreement of October 25, 1765 carries the imprint of Thomas Fisher, Philadelphia and was lithographed by Duval. There is a copy at the American Philosophical Society and another in the collection of Independence National Historical Park,˝ said Law. He believes that the absence of a printer’s name on the Anastatic Declaration suggests that Smith, the patent agent, produced it. Smith’s commercial goals with the anastatic process led him to keep detailed notes regarding the endeavor. However, a lack of notes on the Anastatic Declaration in Smith’s own hand may indicate that he realized, albeit too late, that the process wreaked havoc on the original and that it ultimately became a victim of the shortcomings of anastatic printing. Until now, scholars were unaware of anastatic printing and its relation to the condition of the original engrossed Declaration. Previously, the damage to the document was thought to be only due to constant exposure of the document to sunlight when it was on display in a government office building. 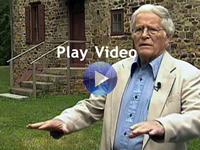 Some attempts have been made to cast blame upon William Stone, intimating that certain damage may have occurred during his time with the document. The fact that the original would have been exposed to the harsh chemicals involved in the anastatic process would be considered blasphemy if suggested today, but in 1846 there was not the respect for the original document we hold today. That the original document was exposed to such a new and potentially risky process and the ultimate results may explain why those who had access to the document made no mention of their attempts. We are reminded here of a scene from the fictional film National Treasure where the lead character suggests hastily treating the original engrossed Declaration of Independence with an acidic solution to reveal an otherwise invisible key to a treasure map. The document’s curator immediately cringes in response, as would any modern archivist or conservator. Today, any chemist with a clear understanding of the effects of the chemicals and the process utilized in anastatic printing  would assure us that the results would be to weaken the bonds in the ink and fade the original engrossed Declaration. Additionally, some blurring of the sharp edges of the lines of the writing would occur. Modern archival historians interested in conservation may view the anastatic facsimile process as outrageous, yet the perfection exhibited in the Independence Hall copy and the Lingenfelter copy have performed exactly as John Jay Smith hoped by preserving the document’s original glory for later generations. A lively debate will likely ensue as to whether John Jay Smith should be remembered as a savior or a merely as a businessman attempting to capitalize on a new process for gain. Edward Law’s great interest in the propagation of the anastatic process led him to become one of the world’s experts in its processes and usage in that age. Law points to an 1891 auction catalog for “Revolutionary Documents, letters and relics of George Washington and Scarce American Maps and other rarities,” cataloged and conducted by Stan V. Henkels, for Thos Birch’s Sons auctioneers, 1110 Chestnut Street. It describes as lot 709 The Declaration of Independence, an Anastatic Copy on parchment from the original, as to make this they allowed the original document to be placed under a certain process, which enabled the projectors of the scheme to take a “facsimile” from the original. That this outrage was perpetrated the original Declaration too clearly shows as it is so faded as to be hardly discernable to the naked eye “and from which they were enabled to take a few impressions” this, therefore, really portrays more truthfully what the document was than the original itself.˝ Lingenfelter believes this may be the very copy in his possession, although his is on paper not parchment. Lingenfelter explains that auctioneers often confused paper and parchment, and that printers did not use real parchment in the 19th century. Lingenfelter also said he has the original frame, which is said to be constructed from planks removed from an Independence Hall staircase during a 19th century renovation. Lingenfelter also had his Anastatic Declaration professionally conserved. During the process, the ˝glaze˝ (varnish) from that period was removed in a careful restoration effort to arrive at the truest possible originality. The park now has the ability to showcase a set of documents that truly reflects what the Declaration looked like at its inception. It is hoped that these documents will soon be on display along with other 19th century printings at the reconstructed Declaration House at 7th and Market Streets in Philadelphia, which holds significance as the location where Jefferson wrote the Declaration’s first draft on his lap desk. 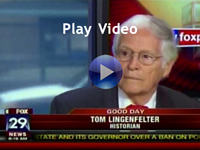 It is in this spirit of exposing citizens to the document’s original glory that Lingenfelter has decided to tour his copy around the country to be displayed in historic venues and State Archives. 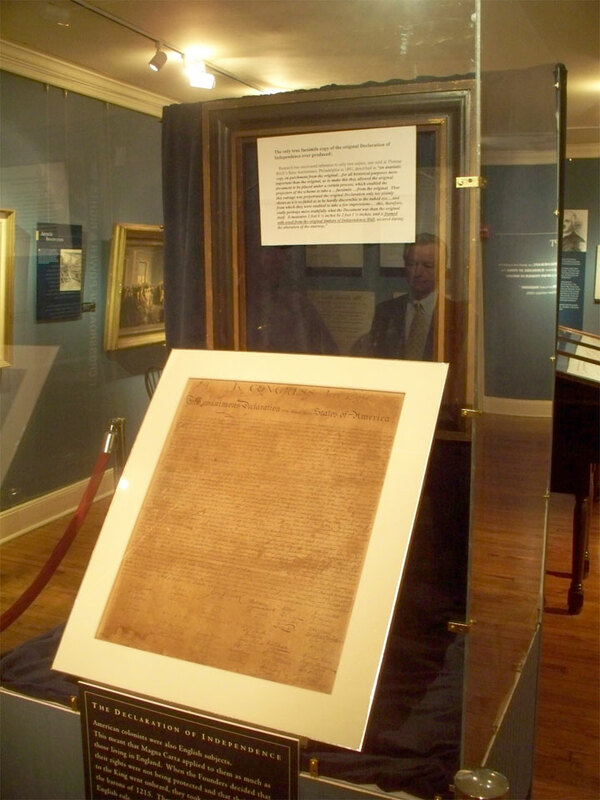 Through this tour, citizens will be re-introduced to the most revered document in American history “and perhaps the world” and reflect on its true meaning. Appropriately, the sponsors for this tour will be Chapter members of the Association of Records Managers and Administrators from around the nation, who will bond together to promote this document in its various exhibition sites. Time and again the government sought to make the Declaration of Independence a true document of the people through various attempts at replication. In hindsight, some may view the use of the anastatic process as a tragedy, while others may contend that these two anastatic facsimile sisters find themselves in a unique place in history. Records managers would view John Jay Smith’s efforts as a legitimate attempt to preserve a document through redundancy and dispersion. These techniques are still in use today. The Anastatic Declarations can be viewed as a serious attempt to help the document survive the wages of time. In this regard, the anastatic facsimiles play a role in preservation even more important than that of the Stone or Dunlap copies, as an Anastatic Declaration is an exact replica of the original measuring 2 feet, 6 inches by 2 feet, 1 inches. Each of the various methods used certainly created documents of high intrinsic and historical value, but the Anastatic Declaration provides a more accurate understanding of what one should envision when imagining the original engrossed Declaration of Independence, with the evidence of 56 men who were willing to risk treason “and a certain death sentence” in exchange for true liberty. I for one believe that two surviving near-perfect copies of the original in place of one diminished and faded copy is a bargain well made. Future generations will be able to view the original as it was viewed by its authors, with a sense of wonder at the import of every last word. Before the discovery of the Anastatic Declaration we could only assume the Stone engraving of the Declaration to be accurate. In comparison they are nearly identical.It is only conjecture to place a monetary value on the Anastatic Declaration. However, putting the document on a nationwide tour, allowing citizens to unite in acknowledging what the Declaration of Independence has meant to this country and the world is nothing short of priceless! The William Penn original Deed is held in the Longwood Garden Museum Vault in pristine condition within a specially designed FIRELOCK Archives Vault.